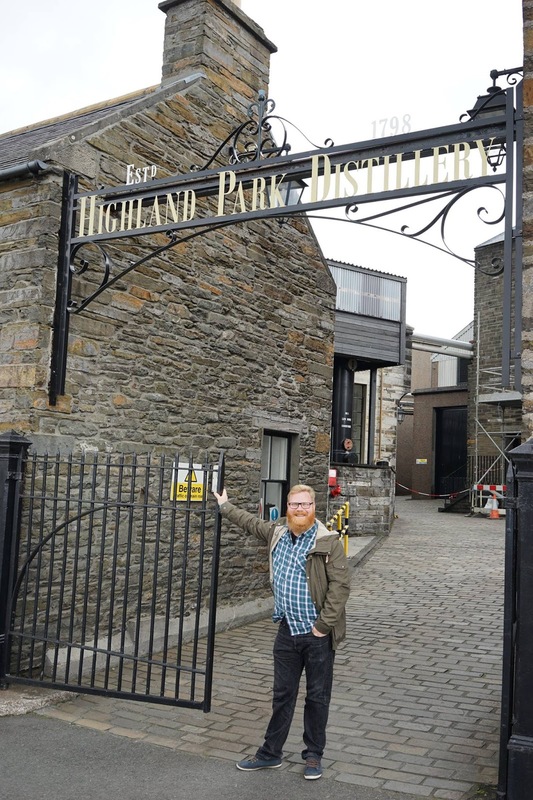 My journey to Highland Park Distillery! Friends and followers! As some of you might have understood from a post on my FB-page I recently experienced a fantastic journey to the Orkney Islands. More precisely the destination was the little town of Kirkwall (sort of the capitol of the Orkney Islands) and even more precisely: The Highland Park Distillery! But what was the background for this trip? How did it come about? 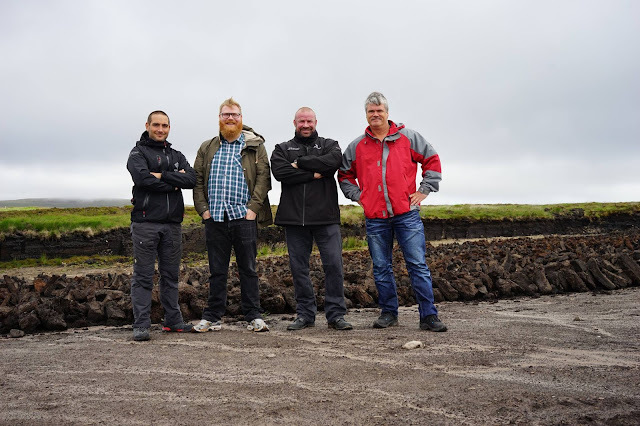 Well, as you all know I’ve been working the whiskyfestivals and fairs for Edrington since 2012, mostly taking care of my favourite brands Connemara and Laphroaig. 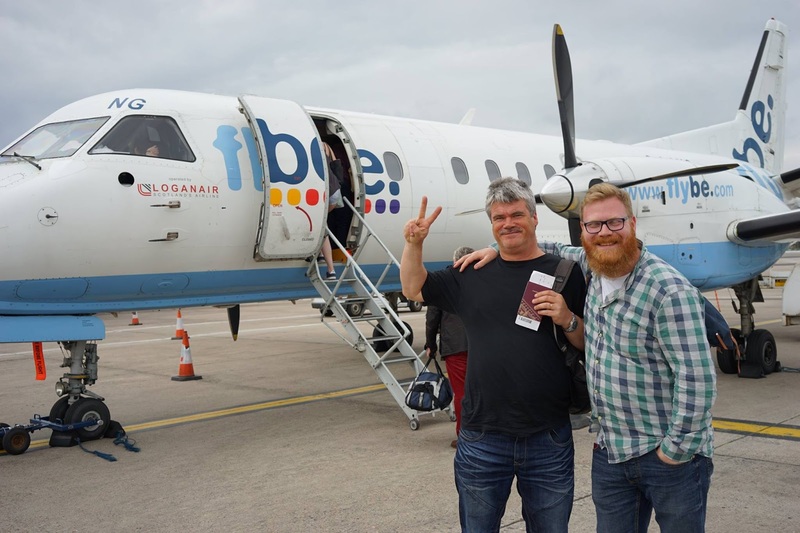 We had travelled from Stockholm to Amsterdam and from Amsterdam to Aberdeen. In Aberdeen we were lucky enough to enjoy some Highland Park 30yo! HP 30yo, what an amazing dram! 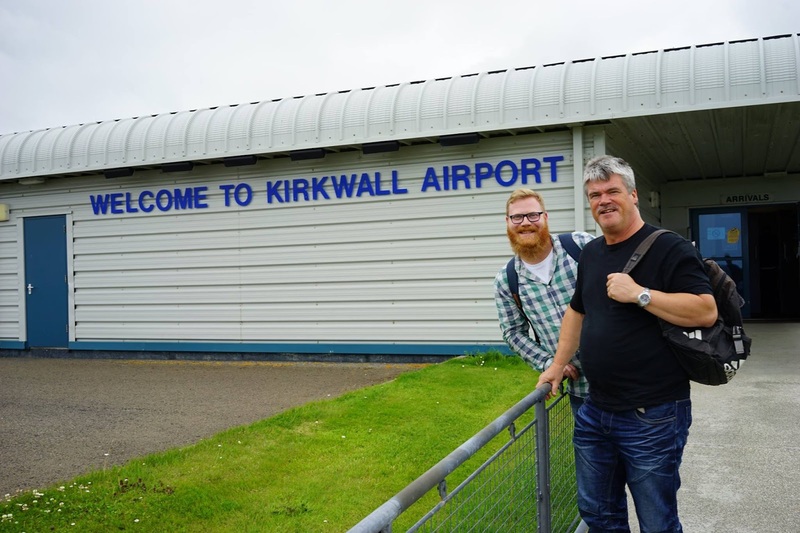 We arrived safe and sound at the Kirkwall Airport! Martin met up with us as the airport. 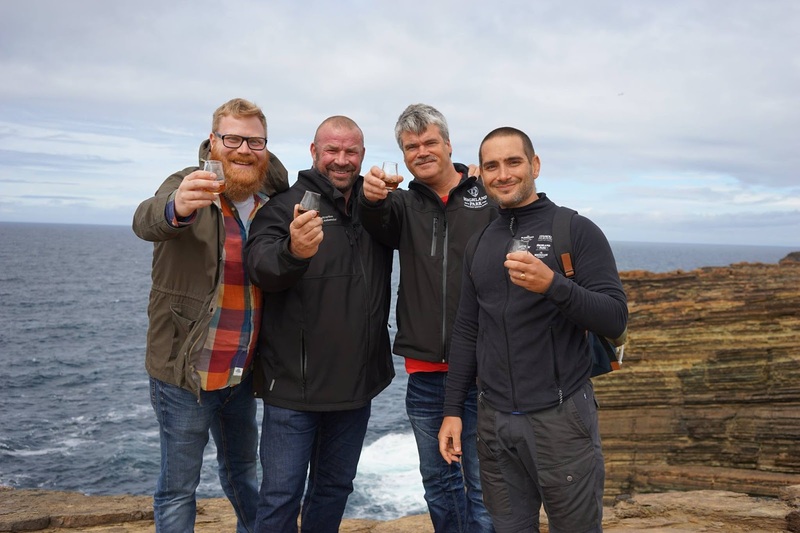 During our stay he was our ”personal guide”, sharing and knowing all that is worth to know about the Viking history of Orkney, as well as all there is to know about the past and present of Highland Park Distillery! Wow, what an honor! we headed for the bar to have some lunch and a couple of pints. 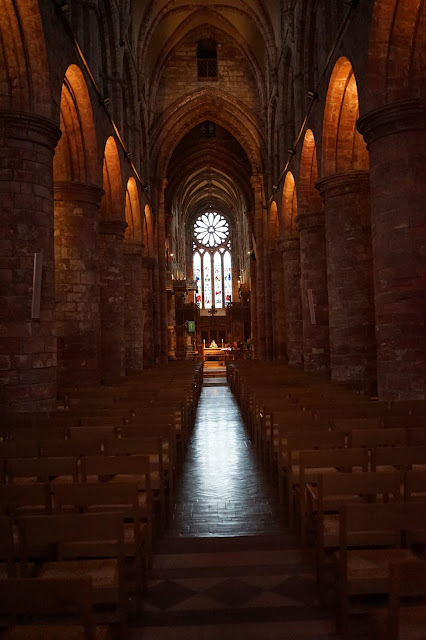 After that Martin took us all to see the great and beautiful St Magnus Cathedral situated in the very center of Kirkwall. The grand St Magnus cathedral! 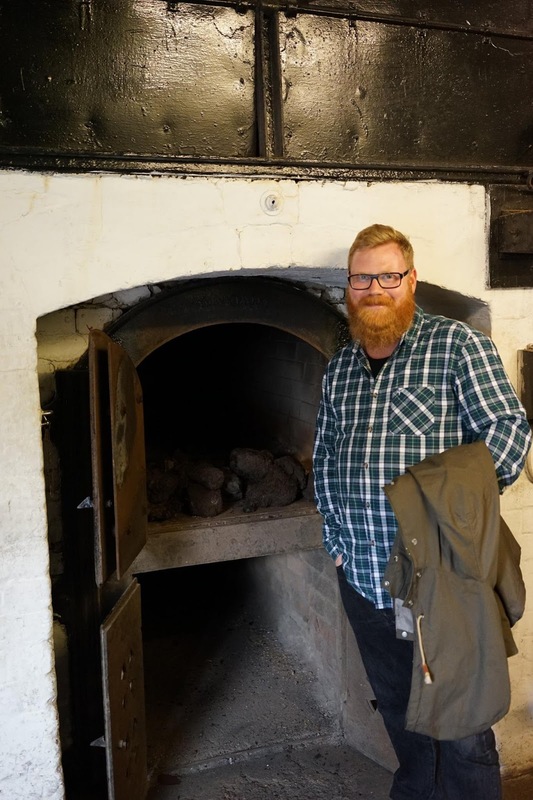 the ”churchman” Magnus Eunson, and more importantly the founder of Highland Park Distillery, hid away some stocks of his maturing whisky from the exciseman. Where he hid it? Below the church floor of course! During the service in the church (!) Eunson took notes of who of the people in the congregation that wanted to order some of his whisky. What a daredevil! We ended the day by having dinner at a really nice restaurant, as a starter I had some local beer and deep fried Haggis, served with what seemed to be a mango chutney, yummie! The best Haggis I've ever had! After a full scottish breakfast at the hotel (yummie again! 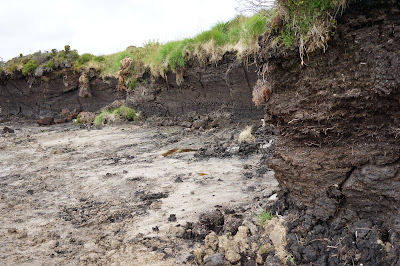 ), Martin took us to see the moor/bog where they cut the peat used in the kiln for drying the malted barley. 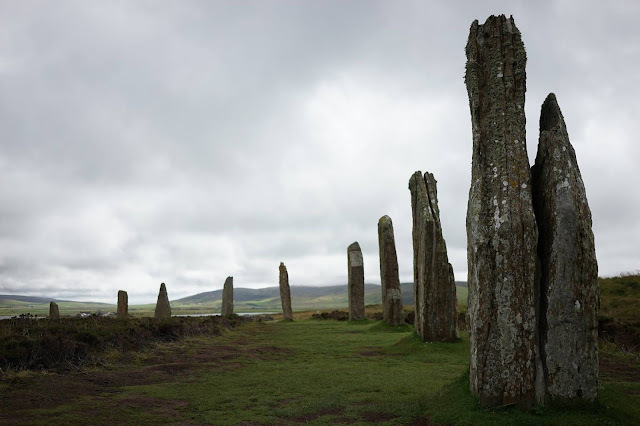 The name of the moor is Hobbister. The peat layers from above is "Fogt", "Yarphie" and finally "Moss"
I’ve also experienced what makes the peat of Highland Park so special. 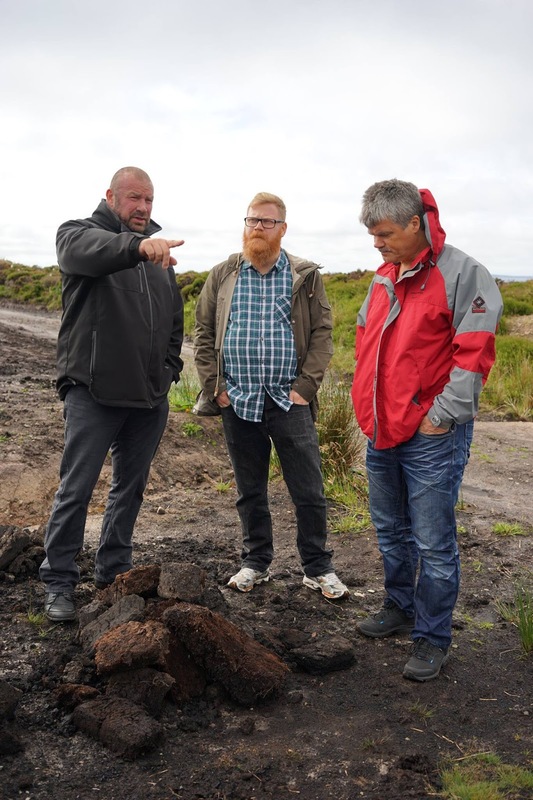 That’s right, Hobbister is litterally covered in heather, and the peat is full of it as well. This is what makes Highland Park whisky smell and taste so beautiful of heather honey! Lots and lots of heather on Hobbister! and more importantly we visited the great ’Ring of Brodgar’! Wow what a mysterious and beautiful place! After some lunch and a pint we finally headed to the Highland Park Distillery! While we visited the distillery there was a kind of ”silent season” at the distillery, or rather ”refurbishment season” lasting for three whole weeks. This means there was no production going on. However, that did in no way stop Martin from showing us just about everything worth seeing at the distillery! One of the two kiln dryingfloors (just above the kiln). Martin standing beside one of the washbacks. This is where the yeast converts the sugar to alcohol, reaching about 7% ABV. The fermentation goes on for about 55-79 hours. SamuelWhisky in the Still House. 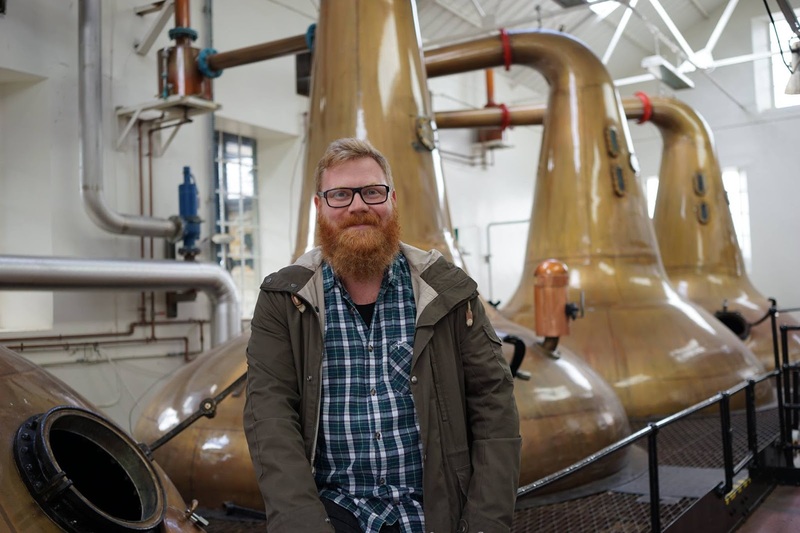 The two wash stills bring the ABV to 28% and the two spirit stills brings it all the way up to between 69-71% ABV! Copyright belongs to Dani Skaff. Unfortunately we were not allowed to take any photos in there, but it had the most wonderful scents! 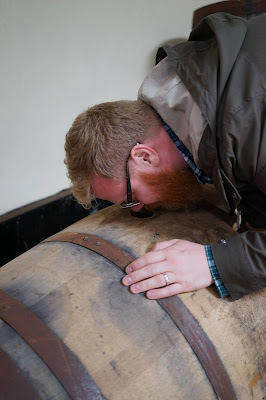 At the end of the distillery tour we had the opportunity to smell an empty bourbon cask and then an empty sherry cask. After the tour we were invited to Martins office for an absolutely amazing tasting. SamuelWhisky is ready to have a taste! As you can see from the pictures below we sure enjoyed some very, very special bottlings! The line-up! Copyright belongs to Dani Skaff. After that we moved on to a very special whisky: A distillery exclusive hand filled bottling, just over 600 bottles, a 13yo at vatting strength 53,3% ABV, matured in american oak sherry hogsheads. Let me tell you people, this was a great one and so I am glad that I decided to buy a bottle to bring with me home. And finally, the tasting ended to our joy with the Vintage 1970, at 40 years old! 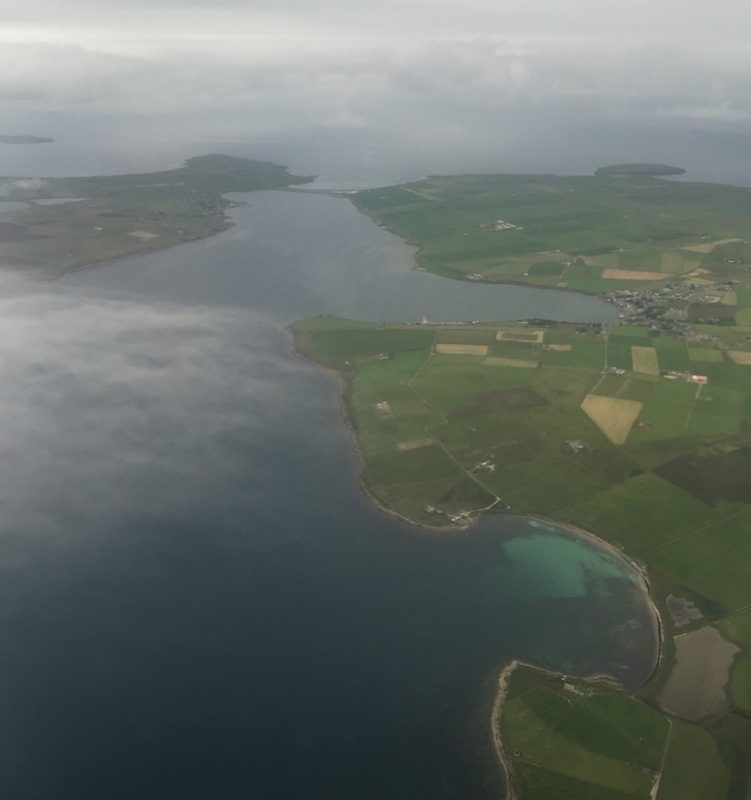 We started off our last day with visiting and having a tour at the Scapa Distillery (but that is another story). After that we drove on to see the very kind Mr. Ian Moir. 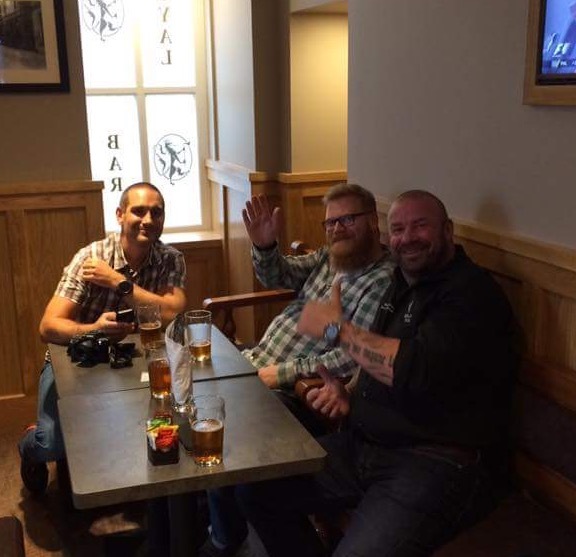 As some of you know Ian is the Orkney-based ambassador of the fanclub Highland Park Appreciation Society. Ian generously invited us to the bar he built by himself from scratch, and very, very genrously he also let us enjoy a couple of drams of our own choosing. After that, we visited a place that I had really longed for. Yes, the Cliffs of Yesnaby! I have only experienced something similar once before, namely the Cliffs of Moher in Ireland. 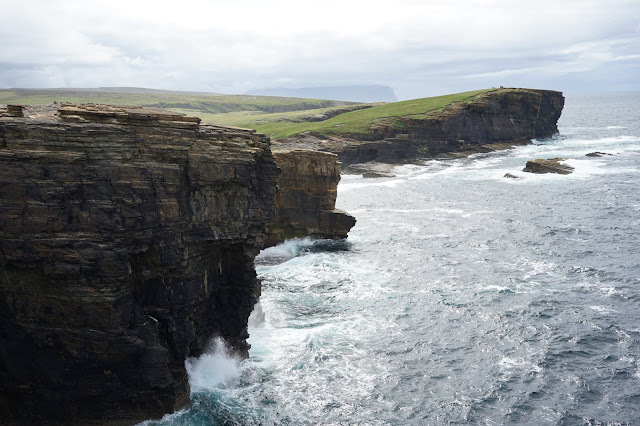 But the Cliffs of Yesnaby was so much greater and in some ways grander with its rugged, mysterious and boasting surroundings. The experience was even more amazing when Martin pulled out a bottle of the very recent bottling ”The Battle of Jutland” 11yo, at 64% ABV! Wow! 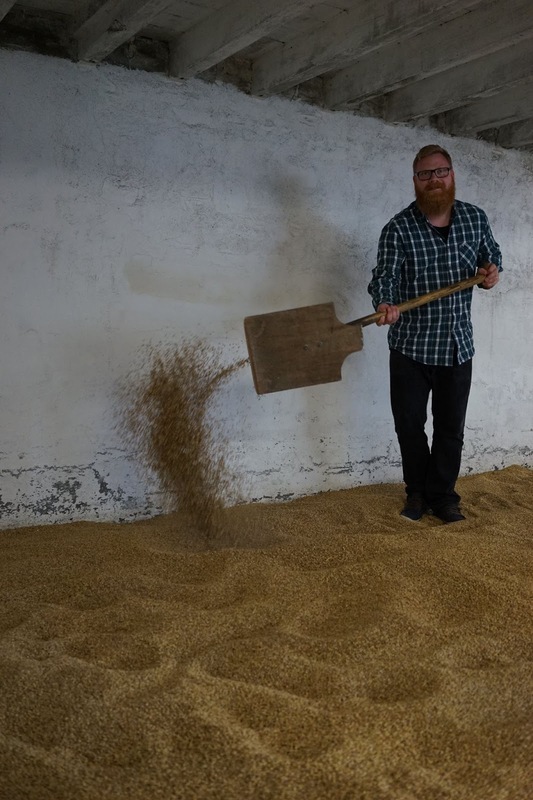 As you can see from this video an absolutely amazing experience and feeling to try this fantastic whisky at such a fantastic place! Then and there I felt so alive! After this great experience and some lunch on the move, we headed for the last stop of our journey, which was the Swannay Brewery!. Truly a microbrewery. Their founder and headbrewer Rob Hill is a fantastically interesting and eccentric man and here his work has rightly been described as "Genuinely at the intersection of art, science and madness". Rob welcomed us with open arms and basically showed us the entire brewery inside out. The best part of our visit to his brewery was when he ran off into one of the rooms in the brewery, asked us to follow him and then let us sniff all kinds of more or less extreme hops of all varieties. The most extreme had a nose reminiscent of curry and cheese! Before leaving we of course visited their shop to pick up some of their fantastic beer. In the bar at the hotel we had already tried some of their beer, and since we already knew they produce some really good stuff we could kind of just buy anything, knowing they would all be great! 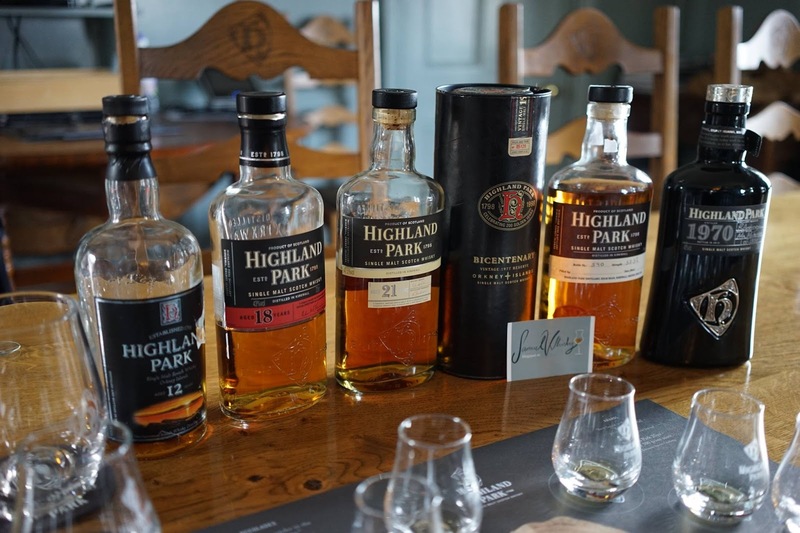 Oh, by the way, Swannay Brewery and Highland Park Distillery will soon start with beer and whisky paring, so if you are headed to the distillery, don’t miss out on some great beer and some great whisky in combo! 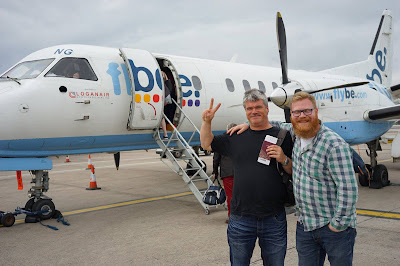 Well friends, that’s about my whole story about this journey to Highland Park Distillery, and if we meet at some of the festivals in Sweden I am very happy to tell you some more about it if you feel like it! Oh yes, I almost forgot! I have som very exclusive news to share exclusively with you my friends and followers: During our visit to Highland Park Distilery it came to my understanding that later this year, there will be two (maybe three) Highland Park single cask bottlings launched in Sweden, that have been chosen exclusively for the Swedish fans of Highland Park! Who more than me longs for that moment?! 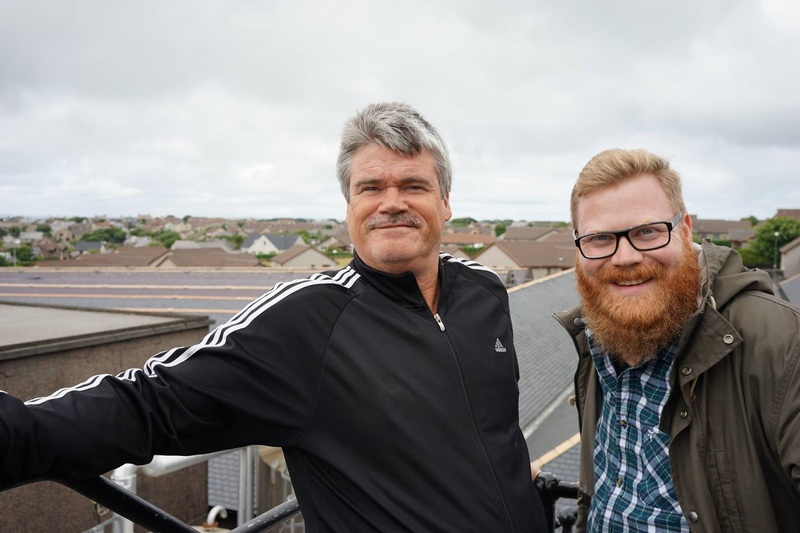 Anyways, big, big thanks to Martin and Dani for inviting me and Stefan to visit Orkney and Highland Park Distillery. An absolutely amazing experience… Also a special thanks to Johanna at Edrington! It was amazing and I can’t wait to see you soon and work with you all again! Sláinte!